On Thursday, January 21, Sparta Academy hosted the District III Spelling Bee at Reid Technical College in Evergreen. Representing WA were Carson Hines, Alexander Malone, Maddox Decker, Braxton Vick, and Addy Crabtree. First place winners were Carson Hines, Alexander Malone and Maddox Decker. 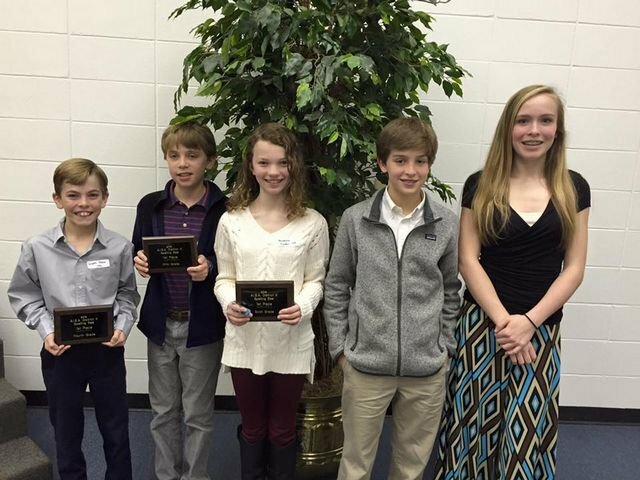 They competed at the state bee on January 26. CONGRATULATIONS TO ALEXANDER MALONE, WHO WON 1ST AT THE STATE SPELLING BEE.